After an extensive 3-month global tour which spanned 15 countries, included 19 FastTrack events and included up to 220 face-to-face startup engagements, the top 10 African innovators have been selected. This was done from a pool of 1,004 applications from 73 countries in total and the selected would participate in the Global Accelerator Startupbootcamp AfriTech. 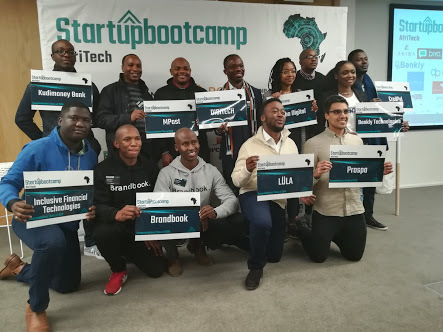 Startupbootcamp AfriTech looks to empower the top innovative African tech startups, while also linking them to the fastest-moving corporates on the continent. The accelerator is largely corporate backed. After shortlisting, 22 startups were flown down to pitch their businesses over 2-days to some of the most progressive leaders in the innovation space in Africa, including corporate sponsors, mentors and investors. Last year, this culminated in 32 corporate agreements in pilots and proof-of-concepts signed by close of the accelerator. The 10 selected tech startups have a month to ready themselves for the 3-month accelerator that will kick off on August 13th in Cape Town and culminate with the Demo Day on November 8th when they will pitch to the world.